Having been to several well known European cities such as Athens, London, Paris, Amsterdam, I was interested in visiting Lisbon for three days, before we moved on to the Algarve for a family beach vacation. My first impressions of Lisbon were that it was easy to navigate Lisbon by metro trains, trams or walking. The city was clean, local residents were friendly, and the food was good. Hotel accommodations in Lisbon were also less expensive than in London, Paris or Amsterdam. On Day 1, we took the tram to Belem to see the Tower of Belem and the Jeronimos Monastery. UNESCO declared both the tower and the monastery World Heritage Sites in 1983. The Tower of Belem was built between 1515 and 1519. It was fun to explore each floor of the tower and see the views from the lookouts. The Jeronimos Monastery was built between 1501 and the end of the 16th century. Take a look at the intricate work above the entrance to the Jeronimos Monastery in the picture below. 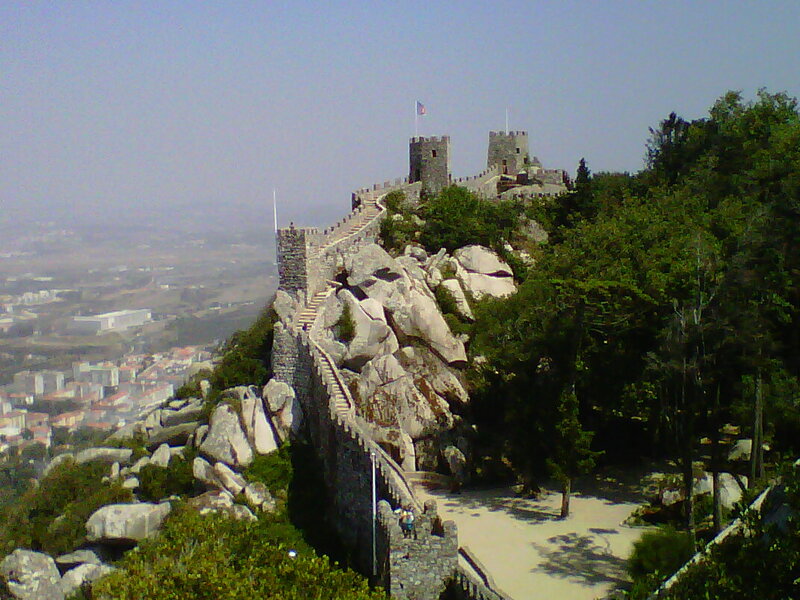 On Day 2, we took the tram again and from the tram stop, walked uphill to Castle St. George (Castelo de S. Jorge) which was built in the mid-11th century. The view from the castle was fantastic. We were able to visit the Black Chamber (or the Dark Room) at the Castle to see 360 degrees detailed view of Lisbon in real time. After lunch in the Alfama neighbourhood, on Day 2 afternoon, we visited the Lisbon Oceanarium (Oceanario de Lisboa) which is the second largest aquarium in Europe, after the L’Oceanografic in Valencia, Spain. It was a well-designed aquarium that I’d recommend to others to visit. On Day 3, we took a train from the Rossio train station in Lisbon to Sintra. The ride was about 30 minutes long. From the train station, we took a bus that went uphill with a few stops along the way. We visited the beautiful Pena Palace (another UNESCO World Heritage site), the Castle of the Moors, and the town of Sintra itself. There are a lot to see and explore here so give yourself a full day. While walking around in Lisbon, I saw these ceramic, brightly painted roosters everywhere, and bought one as a souvenir. I learned about the story of the Rooster of Barcelos (or “Galo de Barcelos” in Portuguese), which symbolizes honesty, integrity, trust and honor. Some people also believe that it brings luck and happiness. My other fond memories of Lisbon are the tile work seen on many of the houses, and the Portuguese custard tarts (Pasteis de Nata) for dessert. I bought two coasters with the tile inserts for my kitchen use. Fortunately, there is a well-established Portuguese community in Toronto so I can still buy the custard tarts as treats once in a while. 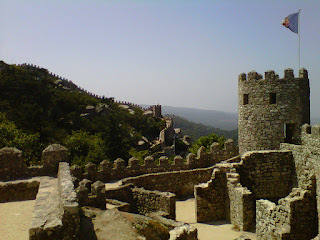 Have you been to Lisbon or Sintra? Tell me about your visit! What a tremendous trip! You packed so much into a few short days. The tile work on the buildings is so attractive. Love you little galo or, gallo in Spanish. Lovely photos. It was a fun trip! Lots to see in and around Lisbon...We picked just two main sights to explore each day. Glad you liked the little rooster and my photos.